Get behind me, Dice Gods! : The Battle Box Bash - where to start? Warmachine has many great forums and various posts dealing with exactly this question. Protectorate of Menoth is a dedicated jack faction of Warmachine, and the one that encourages building on synergy like no other. Protectorate warjacks seemingly embody the worse qualities of each faction's jacks. Slow as Khador jacks, fragile as Cygnar jacks, BUT the faction provides support units that can boost the abilities of its jacks. So now I need an army, starting from the battle box. 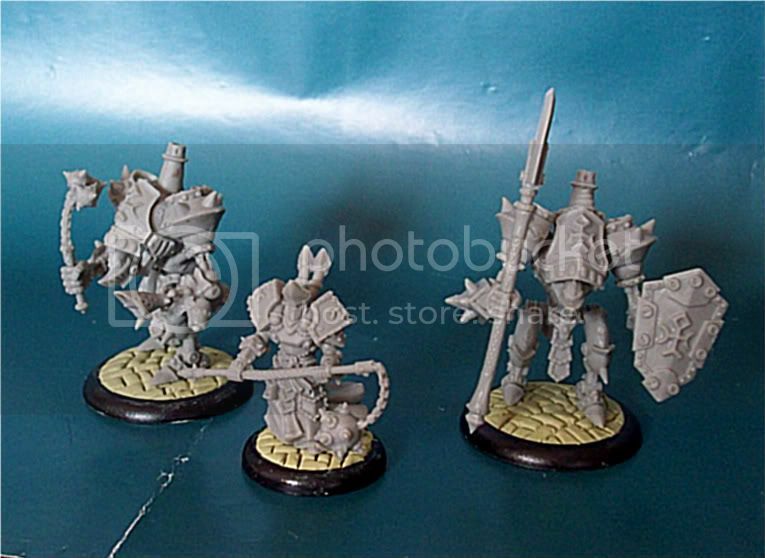 High Exemplar Kreoss and two light warjacks, Revenger and Repenter. 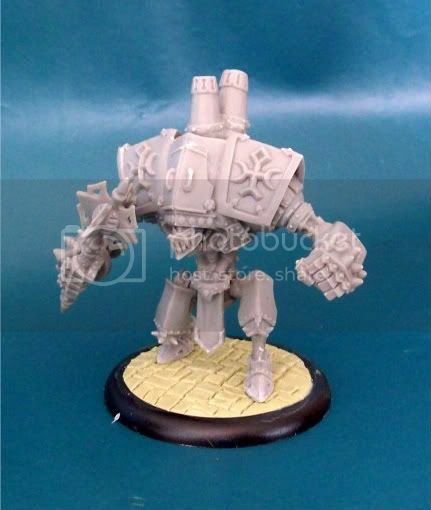 Heavy Warjack Crusader - Cheep and very effective beat stick model for early games. How did you do the bases?